Preorder drive open for A Festival of Skeletons! The Crossed Genres Kickstarter drive for preorders of A Festival of Skeletons is now open! Read the first three chapters of A Festival of Skeletons for free! 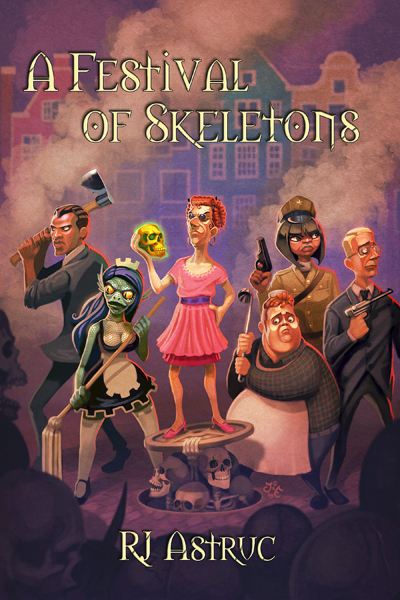 The official release date of A Festival of Skeletons will be December 1, 2010, but people who pledge to the Kickstarter will have your copies shipped early! Print preorders are just $11 USD, shipping included ($15 outside US/Canada), and ebooks are just $4! Plus there are little extras for each level of pledge. You can even get A Festival of Skeletons bundled with our anthology, Crossed Genres Year One: just $8 for ebooks, or $19 for print ($27 overseas)! Please visit the Kickstarter page for more information, and pick up this amazing novel. And help us out by spreading the word!